“Thump” or pop noise is an annoyance when you turn your audio amplifier on/off, you can’t do much to stop the pop sound like adding more filter caps..etc. it didn’t help me. Here is a circuit that i designed for my 5.1 amplifier, because i was having trouble of a very loud “DUPP” sound through my subwoofer everytime when i turn the amp on. 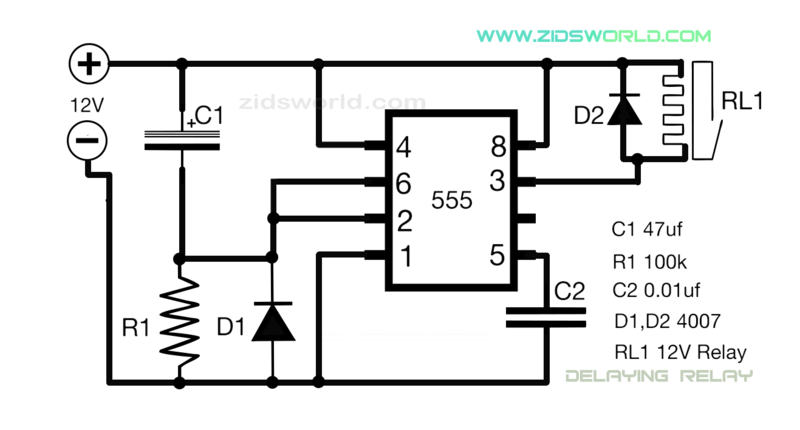 The posted circuit is almost simple, and will give you 5 seconds of delay to turn on the output of your amplifier.